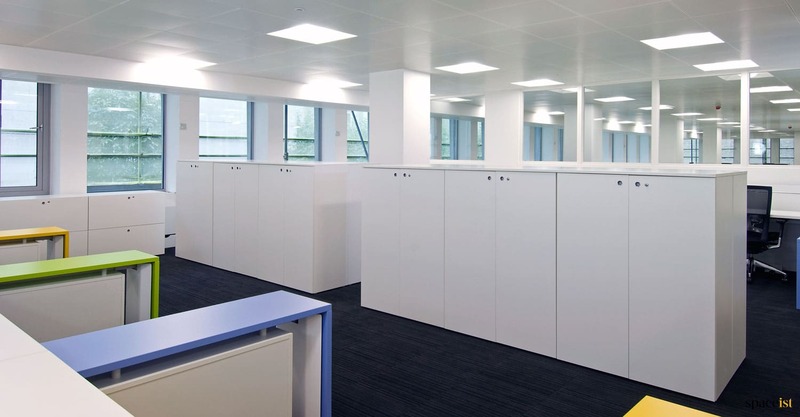 Categories: Office Projects, Recent Projects. 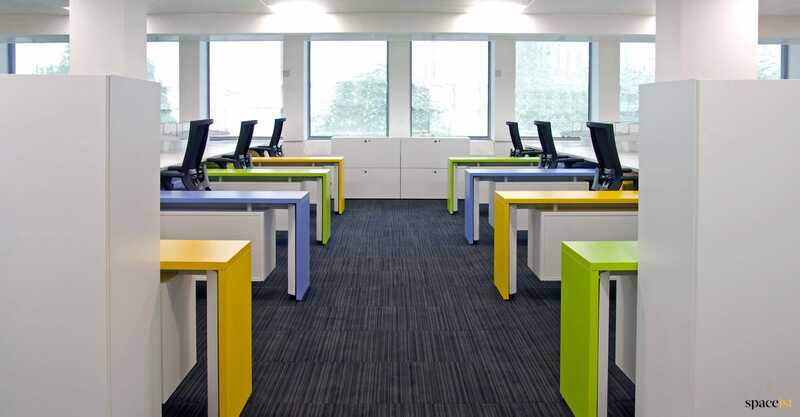 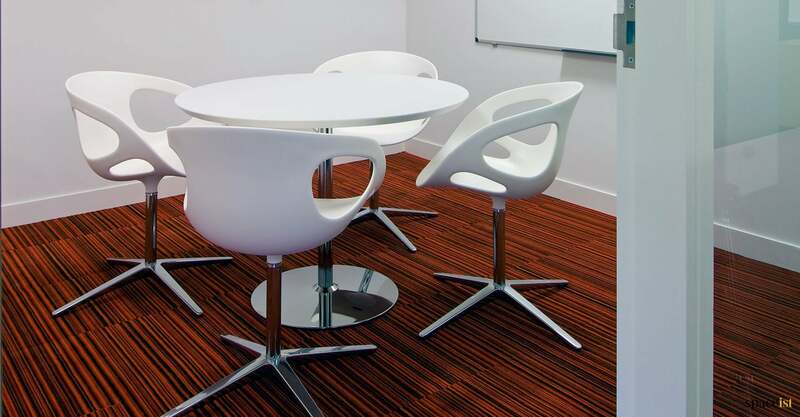 Spaceist have supplied a complete furniture package for the offices of The National Gallery. 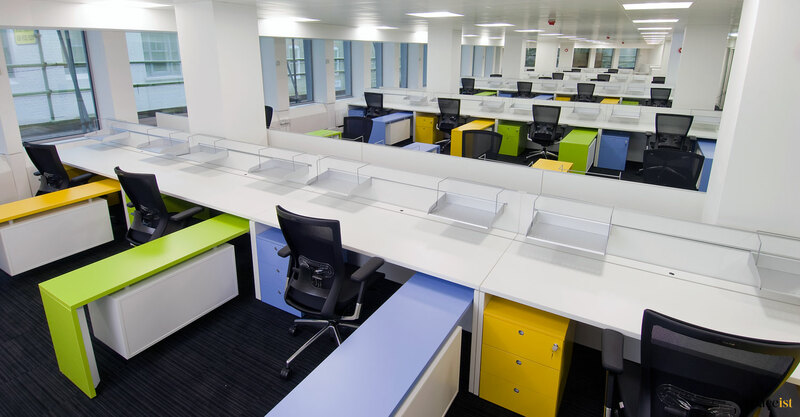 The office space comprises 13000 sq ft and the new desking plan incorporates workstations for 120 people. 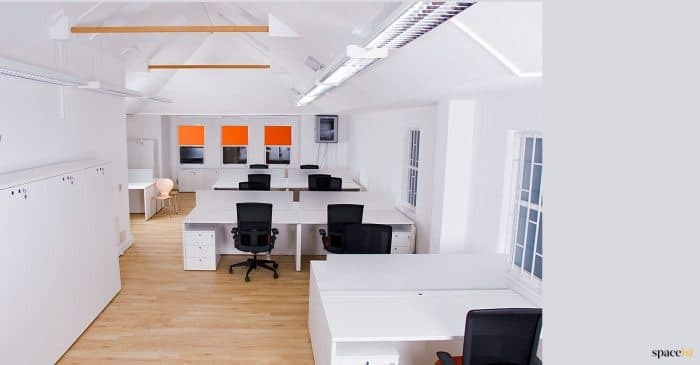 The gallery consulted with staff on layouts, styles and colour issues and the result is a very modern, coordinated and functional design. 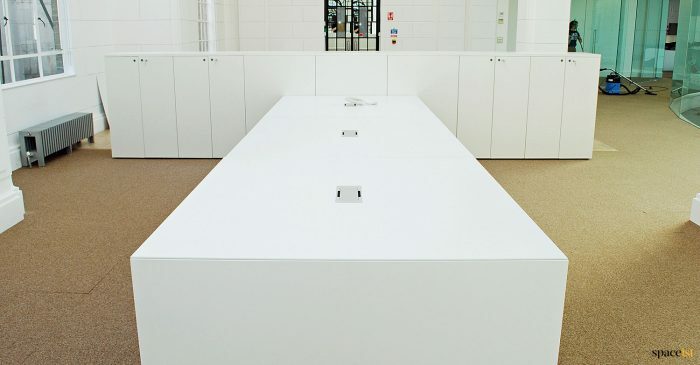 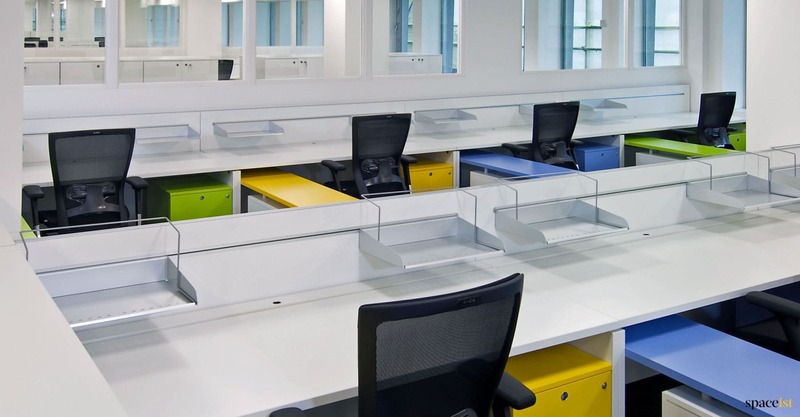 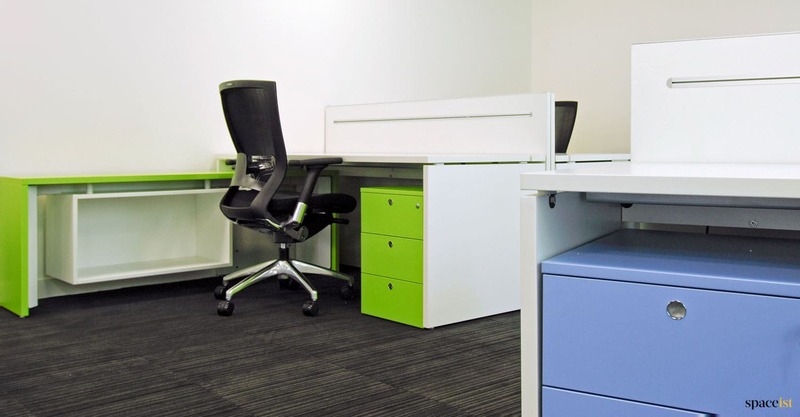 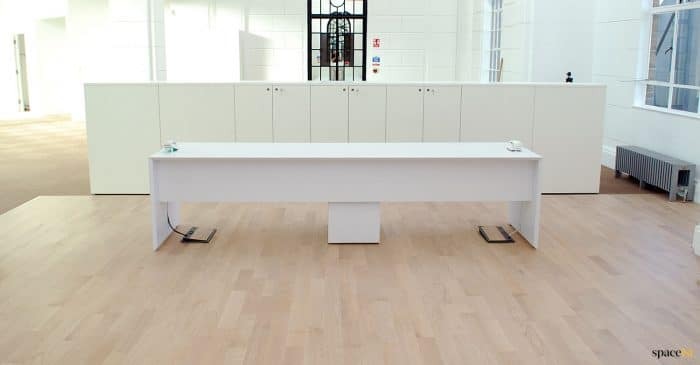 XL bench desking forms the basis of the desk set up with cable drawer and low level laminated partitions. 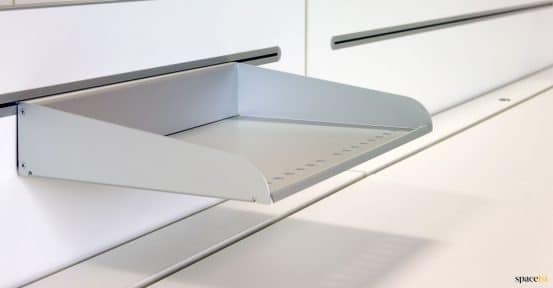 Aluminium rails are set into the partitions to hold extra wide aluminium stationary trays. 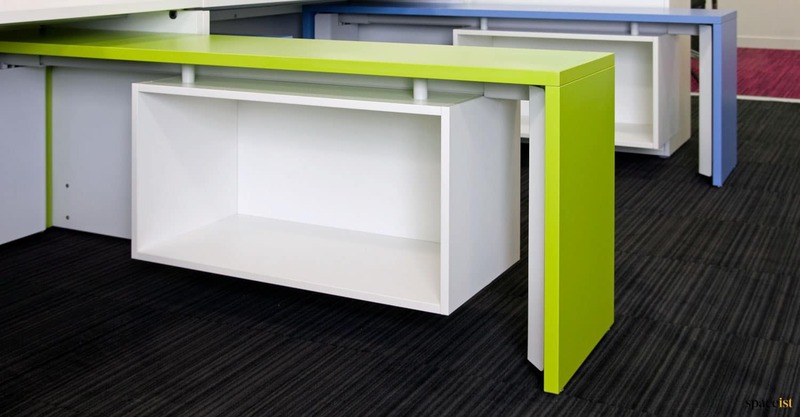 A lower level return element provides efficient extra surface in contrasting colours. 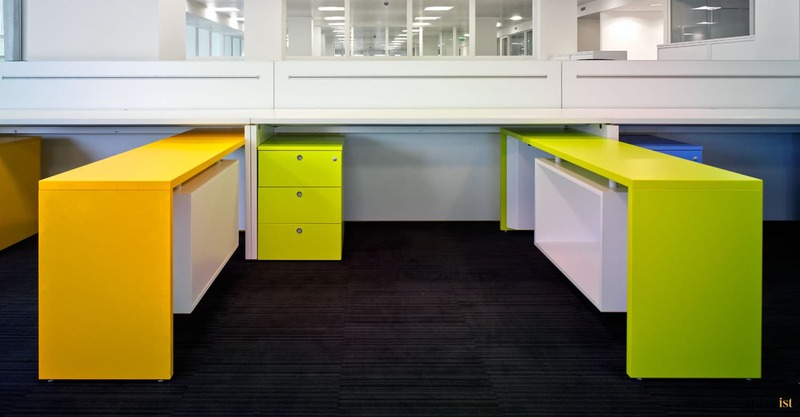 suspended storage boxes are fitted to the returns for more storage capacity. Simple storage cabinets finished with overlaid snow white laminated tops provide shelving and filing storage as well as acting as attractive office room dividers. 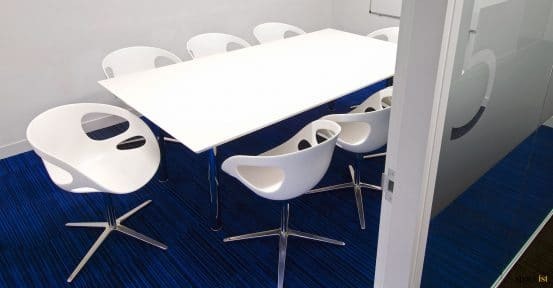 Meeting rooms are furnished with beveled edge white meta meeting tables and with tubular or stem style polished chrome base style. The table style follows through into the small meeting rooms and into the staff break out area. Many of our clients come to us requiring complete furniture packages for their offices and that’s exactly what Salter Baxter required. 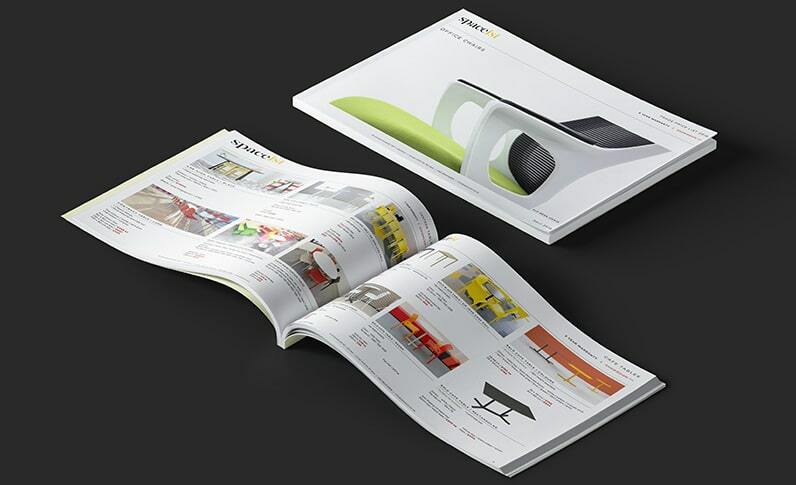 They were looking for stylish and functional furniture to help create an attractive and inspiring office to work from. 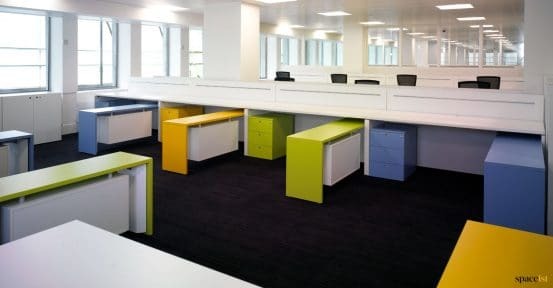 As usual, our team were more than up for the challenge and thoroughly enjoyed curating a bespoke furniture package for Salter Baxter. 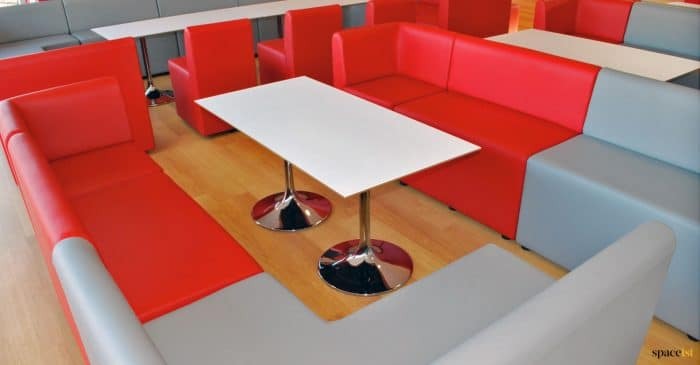 We recently supplied the Arts University in Bournemouth with a brand new furniture package to kit out their contemporary student bar. Our range of modular seating was chosen for its practical and space-saving properties, allowing us to achieve the high cover seat capacity required. 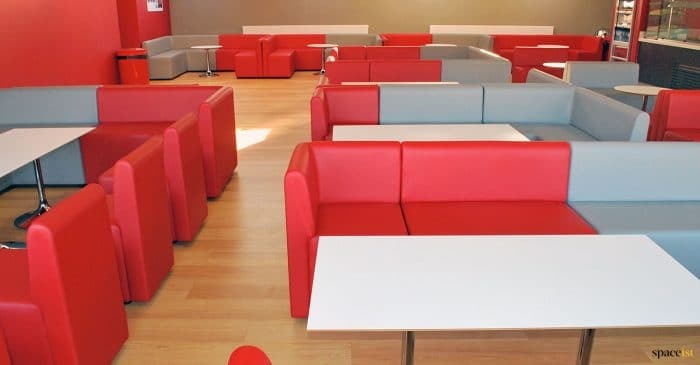 We also chose to use contrasting upholstery colours to brighten up the space and make it an enjoyable place for students to relax. 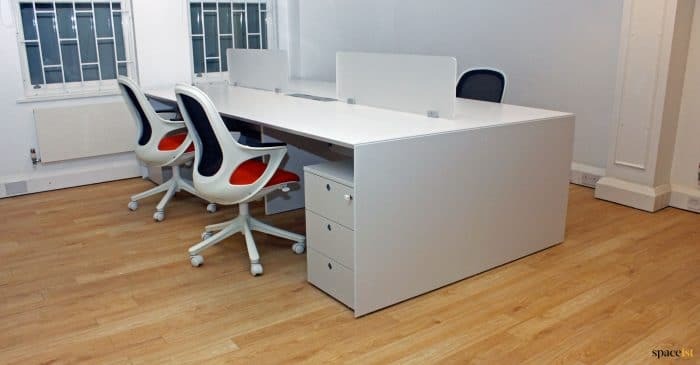 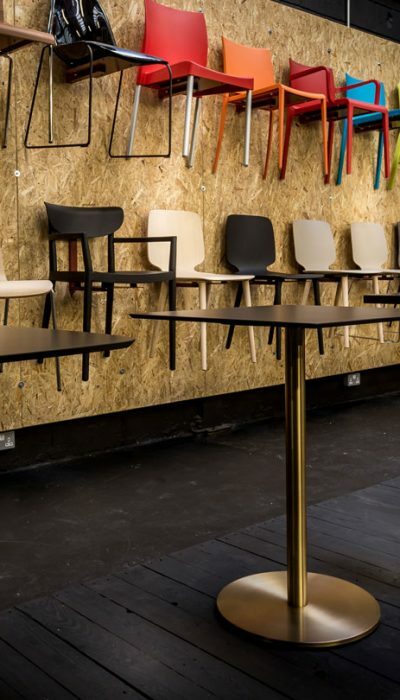 Burn Marketing an integrated marketing agency approached Spaceist with the task of finding modern and minimalistic furniture to make efficient use of their boardroom, client waiting area, desk space and touchdown points for freelancers. 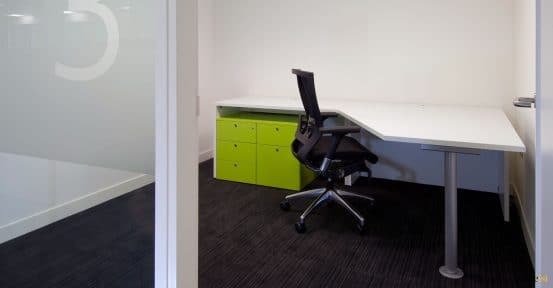 Despite a challenging brief, our team sourced practical office furniture and storage solutions, adding little modifications to help Burn Marketing make the best possible use of their available floor space.